I never met a pizza I didn’t like. But when it comes to cauliflower crust pizza, making them on my own always took so much time & work (lazy moment). But, when Cali’flour Foods came out with their own pre-made cauliflower crust using minimal and high quality ingredients, I was sold. It’s so easy to make and never puts me in a food coma after eating. I’ll switch it up every time I make it using different toppings and it’s always so satisfying. My go-to is the Plant-based pizza — dairy free, gluten free, no sugar added, low carb, no artificial preservatives, and egg free. Ingredients in the Plant-Based pizza include: fresh cauliflower, almond flour, flax meal, olive oil, tapioca starch, garlic powder, dried basil, Himalayan pink salt, nutritional yeast. **Use ‘Rachael’ at checkout for 10% off orders $50 or more. Free shipping, too! 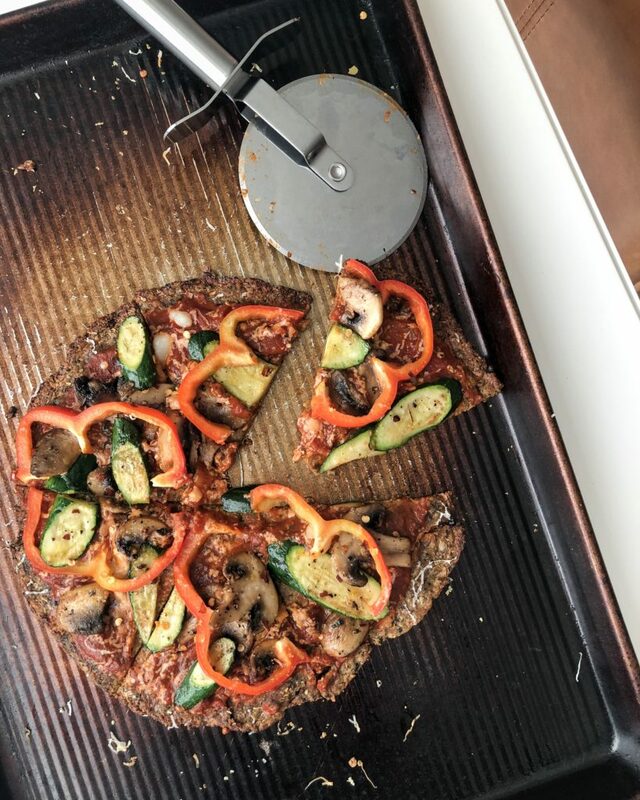 Once preheated, place Cali'Flour Foods cauliflower pizza crust onto parchment paper and bake for 12-15 minutes, flipping crust halfway through. While crust is baking, sauté sliced zucchini and mushrooms in avocado oil with sea salt and pepper until tender. Remove crust from oven and let cool completely before adding toppings. Spread marinara, then add shredded cheese, sautéed veggies, bell pepper and red chili flakes. 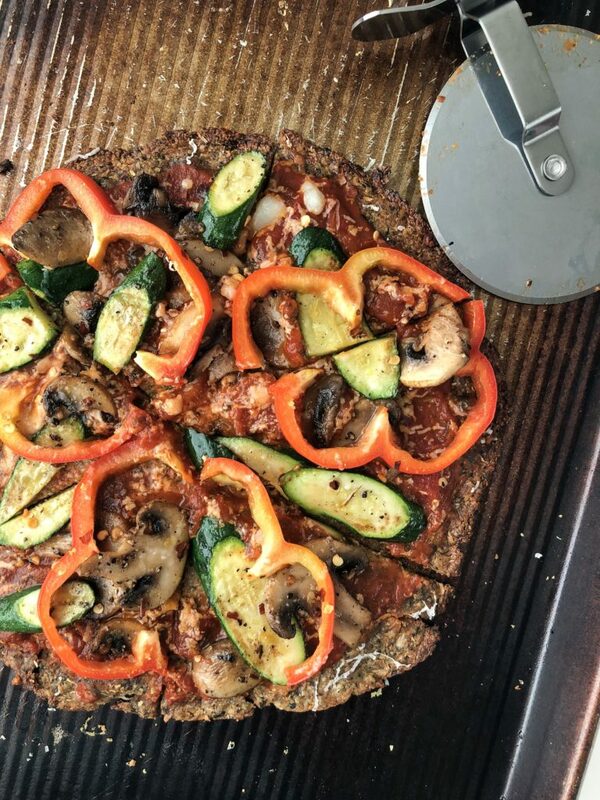 Happy to share that this blog post is in partnership with Cali’flour Foods to share their convenient, yet delicious and healthy cauliflower pizza crusts!